The Atlas Mountains stretch across almost half of Morocco and the most spectacular section, the High Atlas passes only a few miles from Marrakech. It is easy (and wonderful) to do a day-trip in the mountains from Marrakech but if you have more time then a few nights in one of the amazing Kasbahs is worth it at any time of year. 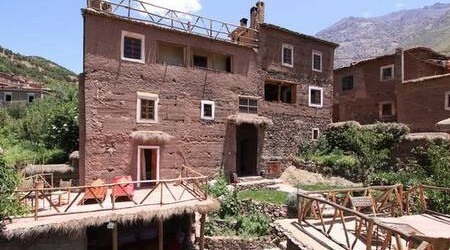 MOS002 - Douar Samra is typical of the traditional stone and rammed-earth dwellings of Berber villagers, constructed in several terraced stone levels. 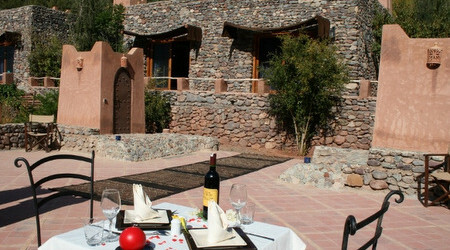 MOA001 - Kasbah Angour is a gorgeous Berber castle with 25 rooms and suites in a spectacular location in the mountains 30 minutes from Marrakech. 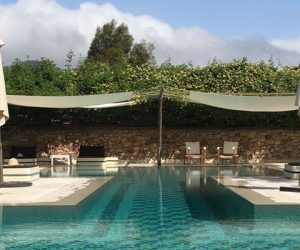 MOR001 - Domaine de La Roseraie sits in the heart of Berber country, among the tranquil foothills of the High Atlas Mountains around 1 hour from Marrakech. MOK001 - Perched on a mountainside above the banks of the Azzaden River Valley in Morocco’s High Atlas Mountains (at the entry to Toubkal National Park, Ouirgane area). MOM001 - Hidden among Ouirgane Valley pine, olive and lemon trees below the High Atlas mountains. 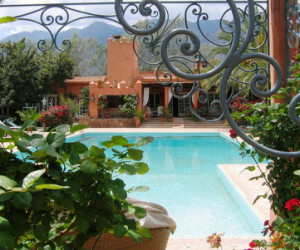 MMO004 - Bab Ourika is a 15 room Kasbah perched majestically on a hilltop at the side of the Ourika Valley, guarding the gateway to the snow-capped Atlas Mountains. 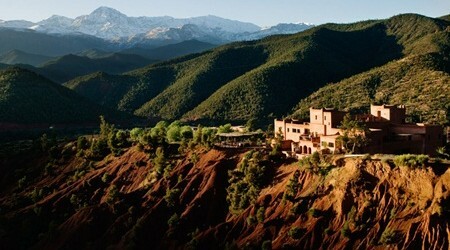 MAT001 - Bought by Richard Branson in 1998, during one of his famous ballooning expeditions, Kasbah Tamadot is a magical walled building located near the village of Asni in Morocco's High Atlas region. 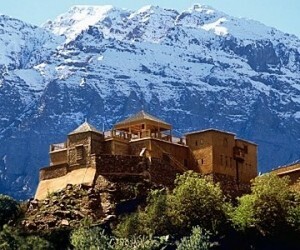 MMT004 - The Kasbah du Toubkal, just 60km from Marrakech, is situated at the foot of Jbel Toubkal, the highest peak in North Africa. MOC001 - Set in around 4 hectares of an old olive grove, in the foothills of the Atlas, yet located only 35 minutes drive from the city of Marrakech. 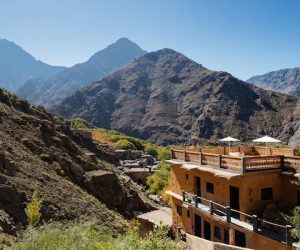 MMT018 - Hotel le Village du Toubkal is a traditionally designed property that is perched on the edge of the High Atlas Mountains offering stunning panoramic views of the area.